You can save a bundle on beauty products when you make them on your own at home. 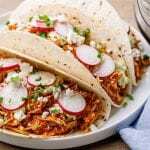 Some of these recipes show you how to use simple ingredients that are low cost, while others show you how to stretch out high-quality ingredients so they last longer, saving you money that way. Coconut oil and honey combine to make a mask that your hair won’t soon forget. The richness of the coconut oil, combined with the antibacterial nature of the honey give this a consistency that feels amazing while applying it, and leaves your hair feeling amazing. 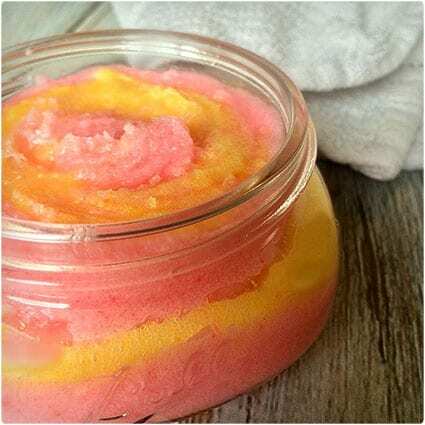 This scrub will keep you feeling refreshed with the scent of lemon combined with the pine-like smell of tea tree oil. 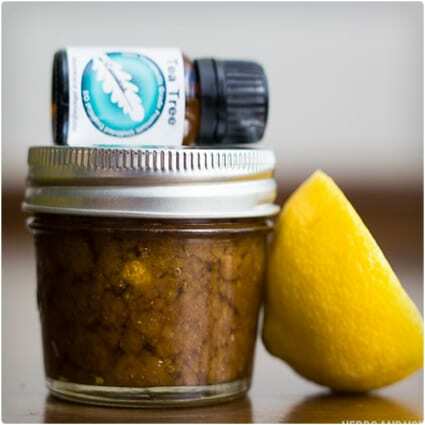 The lemon acts as an astringent for the skin, and the tea tree oil can help with acne and redness. Stop buying expensive acne treatments and put Mother Nature to work on your breakouts. Thyme essential oil brings its healing properties to help blemishes go away more quickly and jojoba oil is soothing to the skin. Keep your skin looking great all summer long with this lotion specifically designed for the warmer months. It contains a mix of ingredients like calendula and chamomile so that your skin feels great even when the temperature starts climbing. 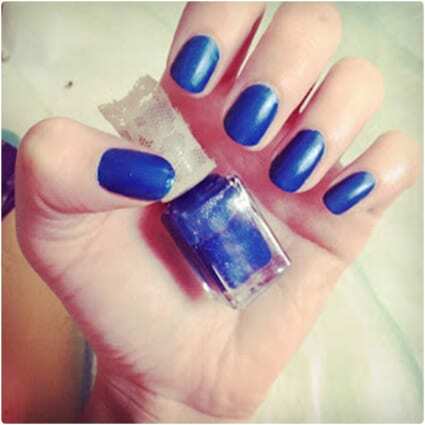 Creating your own custom nail polish can save you from having to pay retail prices, and allows you to have control over the color that you just can’t get from pre-made polishes. A unique way of using clear polish mixed with eye shadow for just the right color you want. 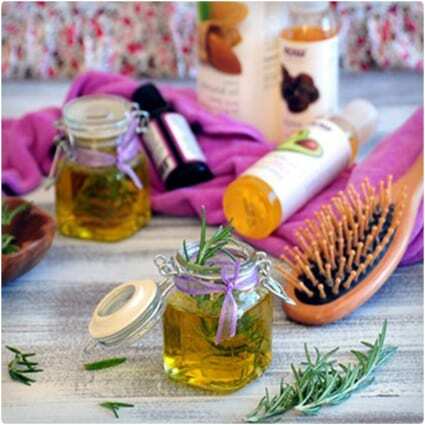 Giving your hair a regular hot oil treatment is a great way to keep it feeling soft and smooth, and this hot oil treatment works as well as the high-priced offerings of a salon, but with a DIY method that is quick and easy when you have the right oils assembled. 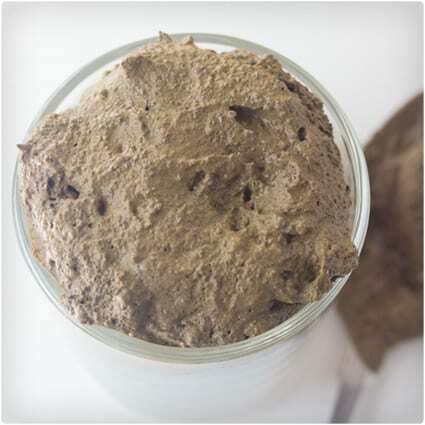 Coffee gets a new use with this mud mask, and combines well with bentonite clay to help pull toxins out of the skin and leave it feeling amazing once you remove the mask. We recommend using the apple cider vinegar instead of water for the best results. 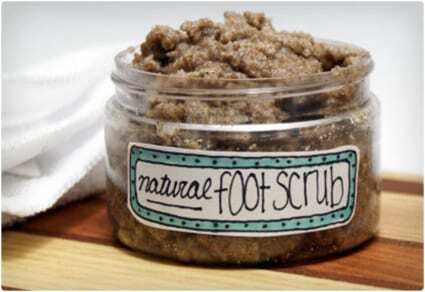 Treat your feet right with this all-natural foot scrub that you can make at home and save a bundle. It helps to exfoliate your feet, sloughing off some of the dead skin to reveal the fresh new skin underneath. They work hard, so give them a break! Perhaps you’re aware that most store bought deodorant is not very good for you and can actually be toxic. 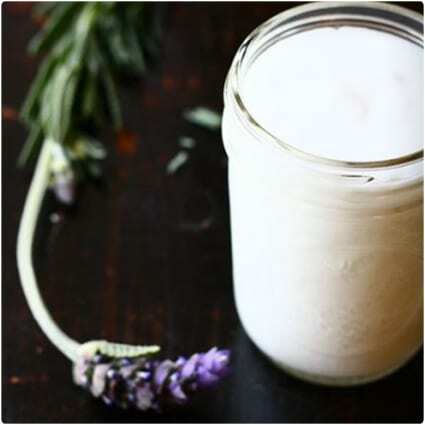 You can get around this by making your own deodorant and leaving out the ingredients that can harm you, while still getting a fresh scent and feeling from essential oils. Pamper yourself with this lotion that uses creamy shea butter combined with cocoa butter to help moisturize the skin. It has a quality to it that you’ve probably only seen in fancy spas or high-end shops, but you make it yourself and pocket the difference. 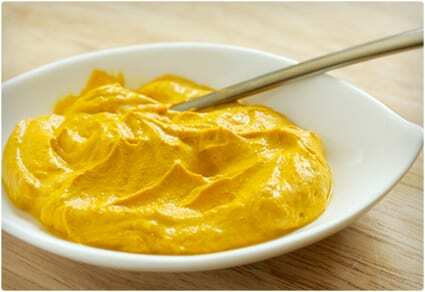 You may be tempted to eat this, but it’s for your hair and will make it feel shiny and smooth. 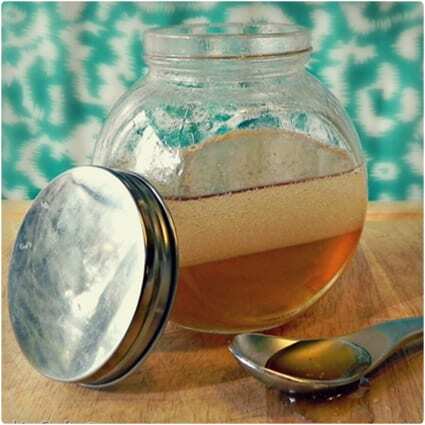 Coconut oil and honey join the party, and ensure that this is going to have a consistency that is easy to work with, and a finished product that is high quality. 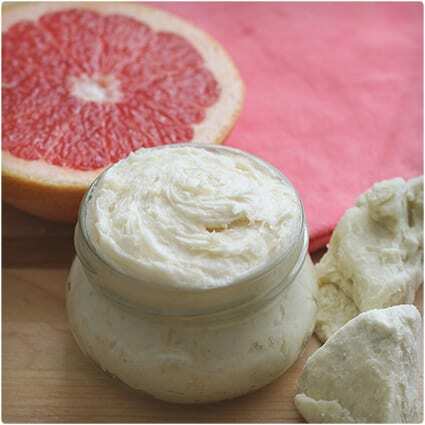 Grapefruit has some amazing properties to it, and you’ll feel it working when you use this body lotion made from red grapefruit. The smell is intoxicating and you’ll want to use it all the time. The more you use it, the better it makes your skin feel. Have a problem with tangles? Use the power of herbs and extracts to make your hair easier to brush through. She includes recipe modifications so that you can tailor this to your specific hair type and color and get the best results. Make your shower even more relaxing with these jellies that add a bit of color to the mix and suds up real nice to make bathtime fun. A great scent also helps, and these are something you’ll find yourself making again and again if you make them just once. 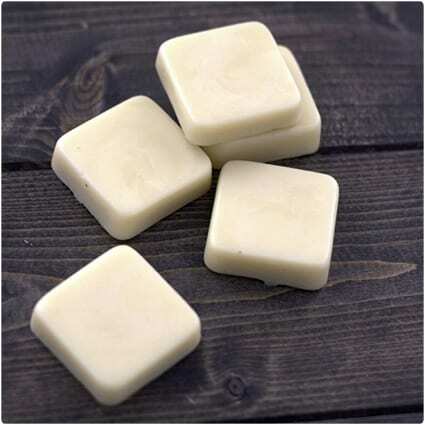 It’s the effectiveness of a lotion in bar form, and you can get smoother skin when you use these lotion bars made from shea butter and beeswax. 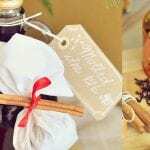 You also get to use your choice of a few different essential oils, making these really special bars indeed. Give your eyes the attention they deserve by properly removing your eye makeup at the end of the day. 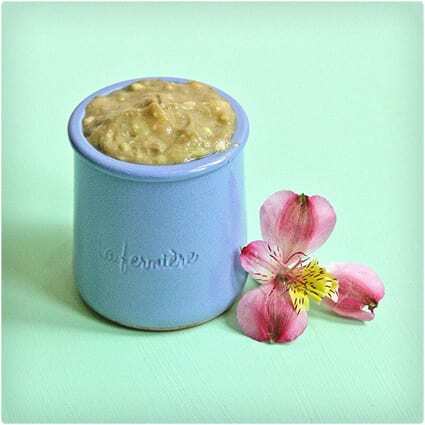 This remover not only effectively takes the makeup off, but helps your eyes recover with a soothing oil and revives them with Vitamin E.
This scrub is specifically designed to exfoliate the skin, and help keep it calm at the same time with oatmeal. 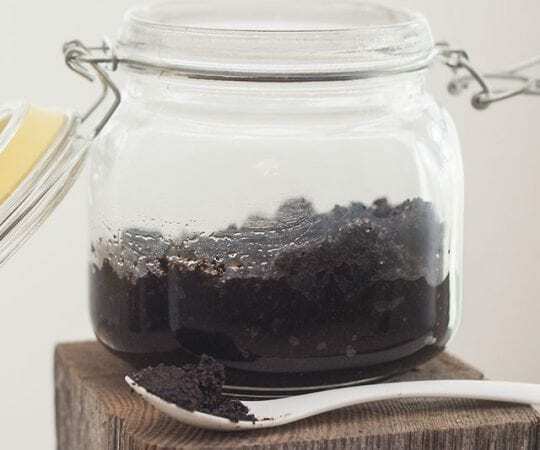 Four simple ingredients go into this recipe, and out comes a body scrub that doesn’t include any harmful ingredients that actually work against you. 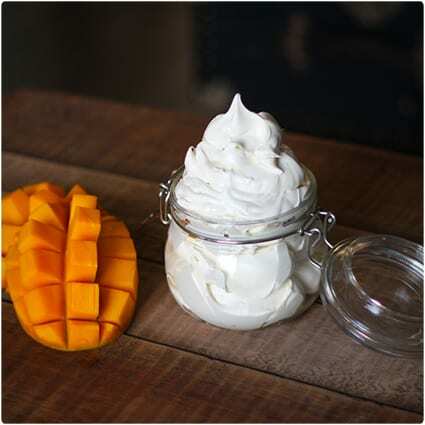 Shea butter and mango butter are combined here to make a body butter that will blow you away. You’ll be amazed that you didn’t have to buy this in stores, and it’s provides the kind of skin you’ve always wanted, but just can’t seem to get from store bought stuff. When it’s time to shave your legs it’s all about getting them ready first, and this pre-shave oil does just that. 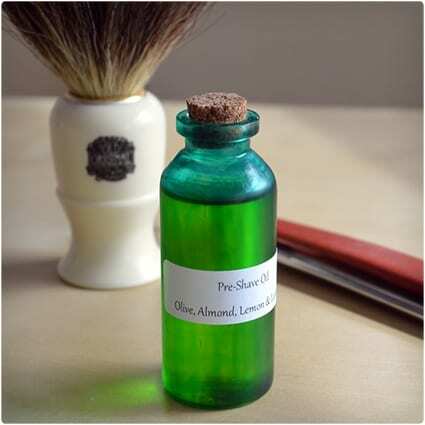 This is basically a mix of different essential oils with olive oil as the carrier, helping to create a better shaving experience with less irritation. 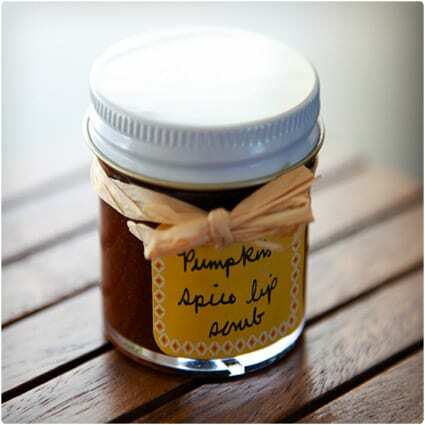 Make sure your lips are kissably smooth with this natural lip scrub. 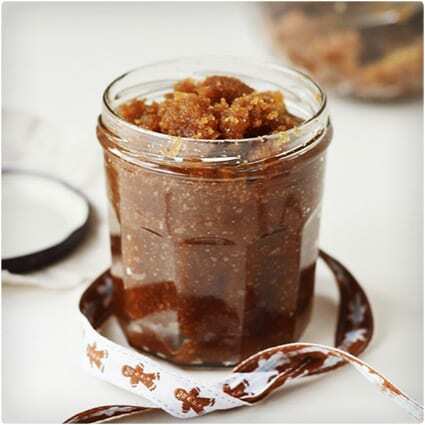 It is made with honey, brown sugar, and just a few more ingredients, none of which you’d have any qualms with putting onto your lips. This can’t be said for some of the best-selling lip products out there. 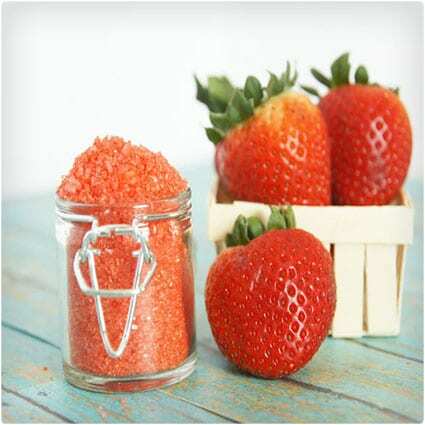 Make bath time as relaxing as possible with the use of strawberry extracts in this soak recipe. The smell is sure to transport you to a new place, and the additional ingredients all help to relax you while you’re in the bath. Turn those gardening hands back to regular hands with this hand scrub specifically for those long weed-pulling sessions. 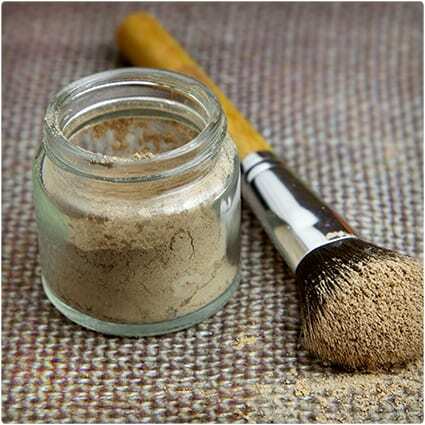 Get rid of the dirt and smooth out the roughness all at once and with a natural product. She recommends moisturizing afterward to seal the deal. The poppyseeds work great here because they’re a natural exfoliator. 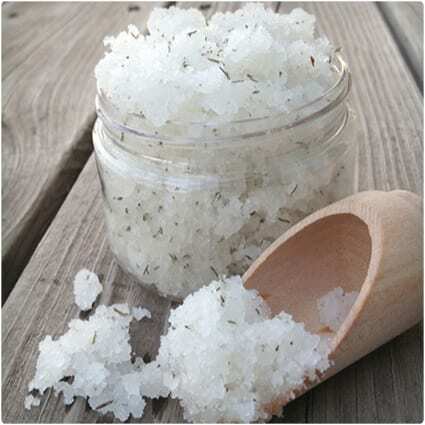 Ever wonder what the beads are in that store bought exfoliator? Probably something synthetic, so do yourself a favor and exfoliate with something a little more natural and a lot cheaper. The most fun you’ve ever had with a Kool-Aid packet since you were a kid! 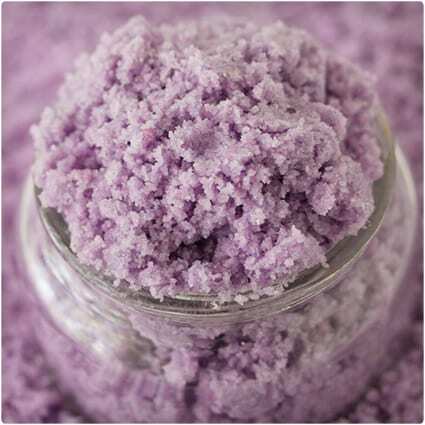 This body scrub uses a classic to bring the sweet smell of grape flavor to your body scrub, all while keeping it ridiculously easy to make. Here’s a way to wash your hair without having to get it wet. It works best for when you want to keep your roots clean without necessarily getting the rest of your hair involved. 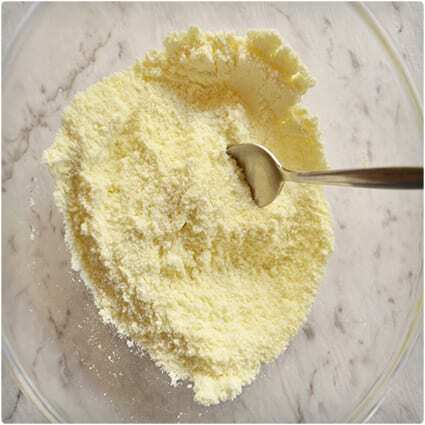 A great recipe to keep on hand that can save you a bundle on fancy shampoos. 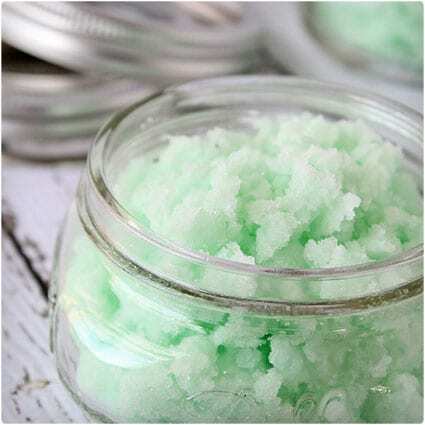 Sugar is a popular ingredient for body scrubs, and here they’re using that combined with peppermint extract to give it a minty scent. 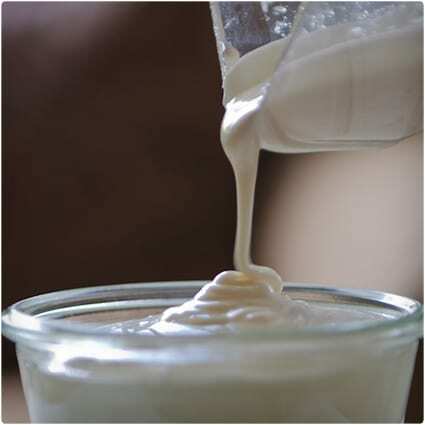 You can give it a green color with food coloring, or leave it natural and it will just be white. A mixture of cocoa butter and shea butter with a little bit of peppermint extract and you’ve got an amazing body butter with a refreshing scent. This goes great for the holiday season, or anytime of year you want to feel your best all over. You can use rosewater in a number of different applications, and it can be really pricey in stores. Making your own is hands down the best way to control the quality and save some money in the process. This recipe makes it so there’s no distilling required. You won’t believe how easy it is to make this, and chances are you have the two main ingredients in your house right now. 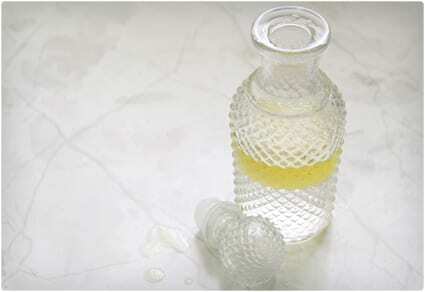 It uses the time tested moisturizing properties of olive oil combined with the exfoliating ability of sugar granules. 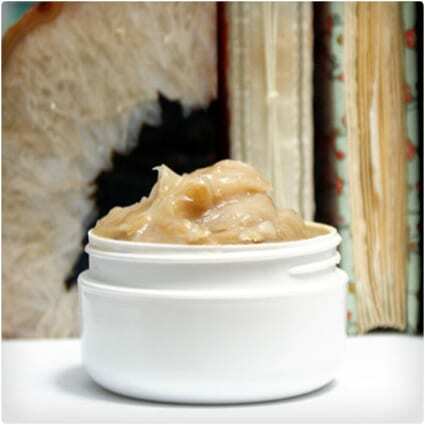 Skin cream can be expensive, and when the list of ingredients includes things that are hard to pronounce, you know it can’t be good for your skin. 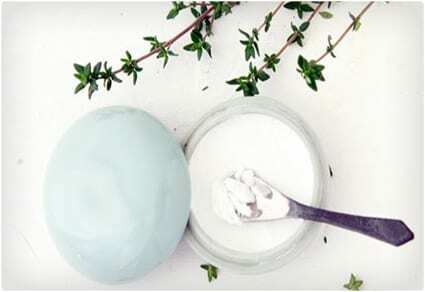 Solve all that with this natural, homemade skin cream that you can use daily and that costs far less than commercial brands. 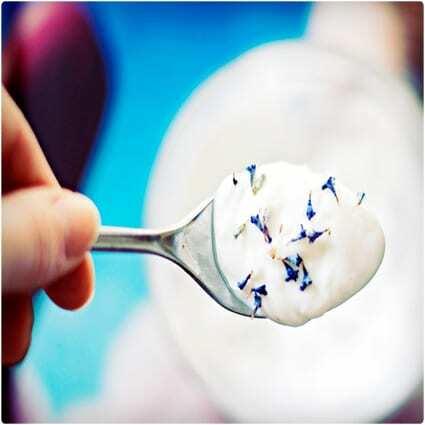 This face mask uses lavender and its natural soothing power to leave your skin feeling fantastic. 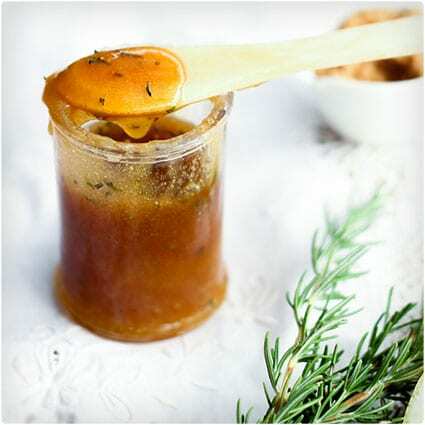 A combination of yogurt, honey, and lavender oil are the three main ingredients of this face mask, so you know you’re not putting chemicals on your face. You’ll love this lotion because of the simplicity and purity of the ingredients that go into it. You’d be hard pressed to find any other lotion like this at the store. In just a few minutes you’ll have plenty of lotion that will last a long time. 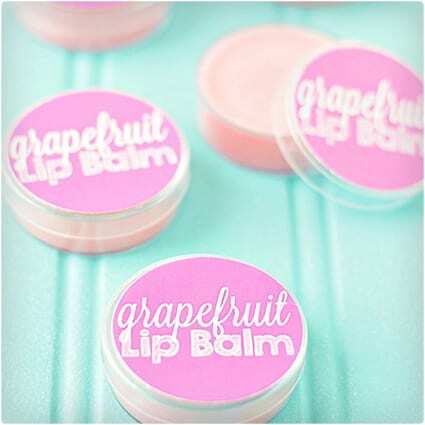 The tart flavor of grapefruit comes through on this lip balm, and its nutrients help your lips feel better and repair themselves. Whether you print up the labels is up to you, and if you want to make it look prettier or give it as a gift, it’s a great way to go. 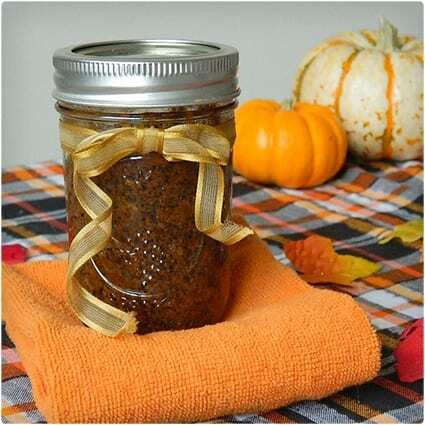 This body scrub smells amazing, and may be one of the best things to whip up during the fall months, when pumpkin makes the most sense. It’s almost as if you’re making a dessert, but this is something that you’ll be putting on your body for fantastic feeling skin! 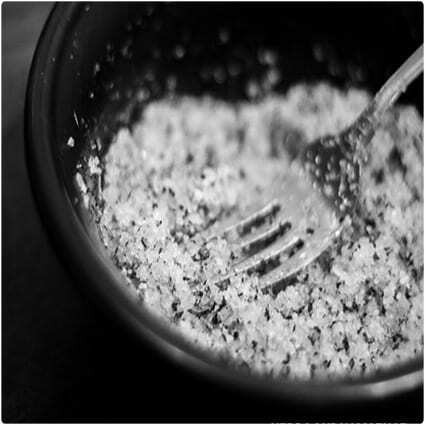 Chai tea is not just something you can get at the coffee shop, it’s also a food item that can help you clean up. 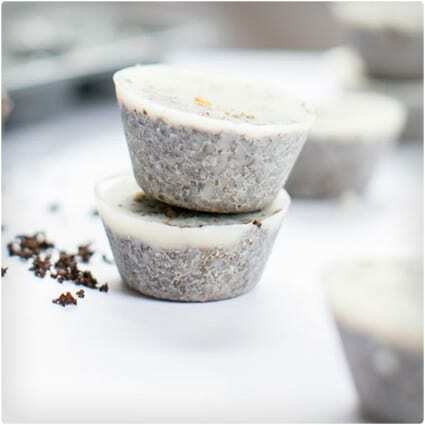 The exfoliating effect comes from adding in chai tea pieces to the top of the soap so it helps slough off your top layer of skin and impurities. 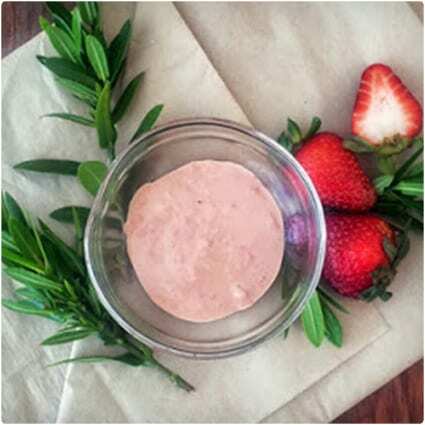 This strawberry mask works well on reducing the appearance of age spots. 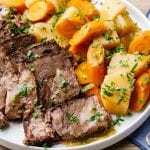 The best part about this page is that there are multiple recipes all on one page, all designed to help reduce the signs of aging. Don’t worry, no actual chocolate is harmed by the making of this body cream. You’ll be using a cocoa oil for that part, which will provide you with the aroma of chocolate, and probably end up making you crave some chocolate in the process of smoothing out your skin. 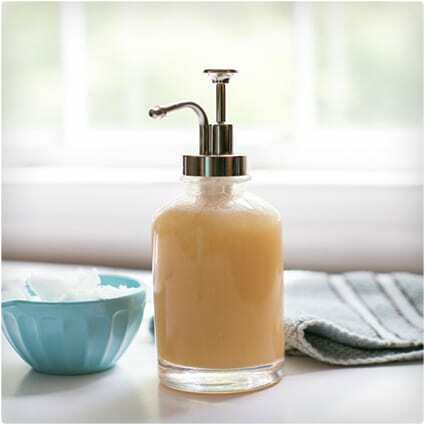 This honey body wash is going to replace anything you’d buy at the store, which is great because you’ll be able to make it whenever you want, and it’s using natural ingredients like coconut oil and Dr. Bronner’s castile soap. 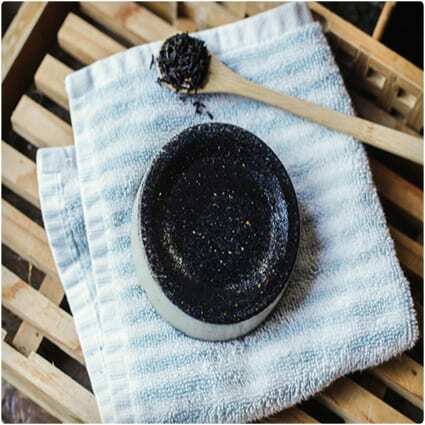 Refresh your feet with this foot scrub whenever you feel like you’ve put them through some real abuse. They’ll feel like new thanks to the combination of peppermint, which cools them, and thyme which naturally calms down the skin. 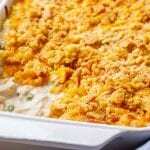 This is a really simple recipe that is the simple combination of two ingredients. But that’s what’s special about it, it helps to stretch out the almond oil soap, and dilutes it a bit since it’s pretty strong when it’s used directly. Whenever you’re feeling stressed out and want the effect of aromatherapy while at the same time improving the condition of your skin, reach for these. 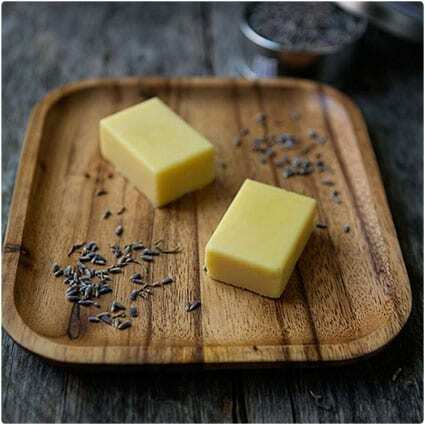 They use the time-tested scent of lavender to make you calm down, and shea butter to make your skin feel great. Perhaps you ordered your last vanilla bean latte from a coffee shop, but this time you’ll be using it to get squeaky clean. You’ll end up with the amazing smells of a vanilla latte while at the same time you’ll be avoiding harsh soaps that can dry your skin out. 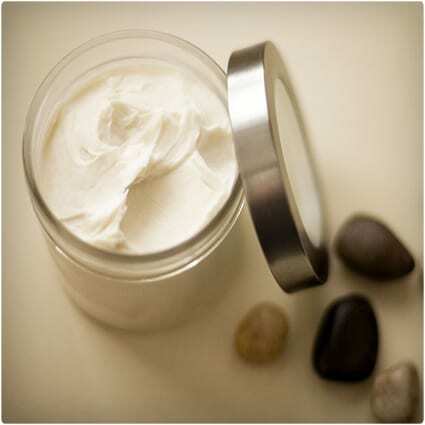 A yogurt mask helps to make the skin feel cool and can reduce redness. 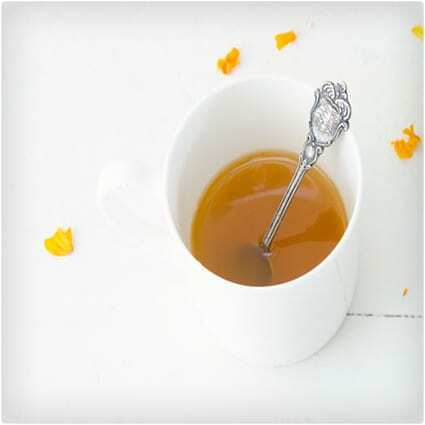 When you add in calendula you’re getting healing properties that you just won’t find in most face masks. This can be used weekly or whenever you feel like you need it. 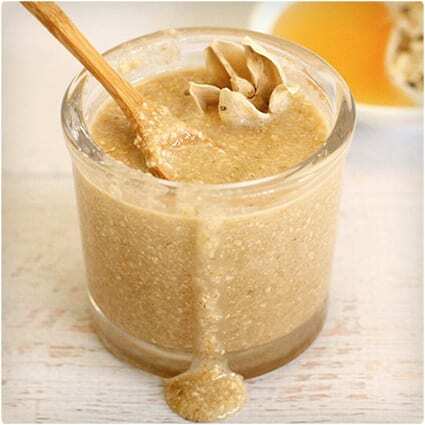 Oatmeal and honey might seem more like a breakfast menu item, but it can lend some nourishment to your face as well. 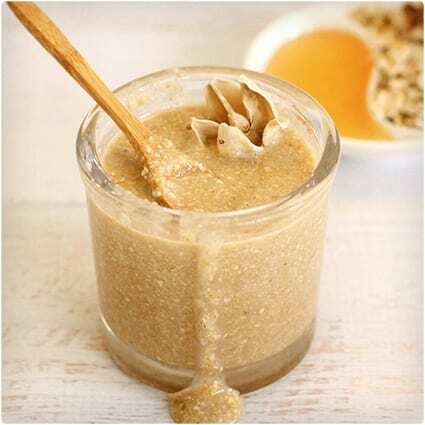 The oatmeal provides the scrubbing effect, and the honey has natural enzymes that can work wonders on tired skin. 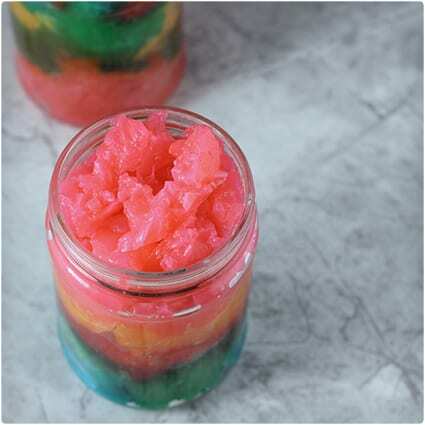 Coconut and citrus are a unique combination because the citrus gives it an acidic astringent feel, while the coconut provides a smooth scent and feeling on the skin. The contrast is definitely something you’ll feel when you use this. 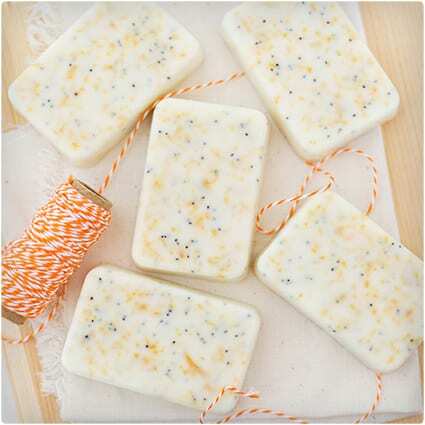 Replace your moisturizer with this body bar and you’ll never look back. 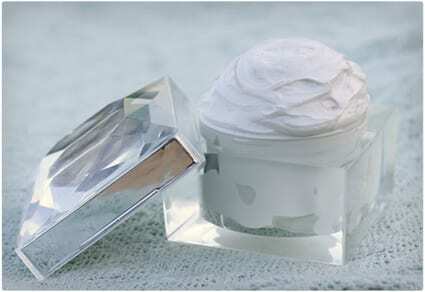 It’s going to provide you with all the moisturizing your skin needs, and provide a pleasant scent at the same time. You’ll smell it hours later and feel good all day. 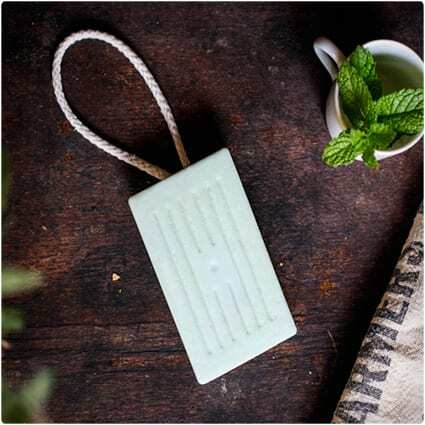 Soap on a rope is a convenient way to keep it right where you need it, and makes it so it lasts longer. 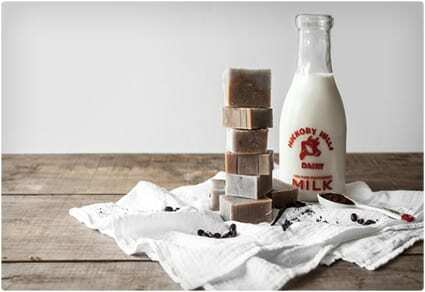 The best part is that you’re getting a peppermint scent and tingling from peppermint extract mixed with a soap made from goat’s milk. 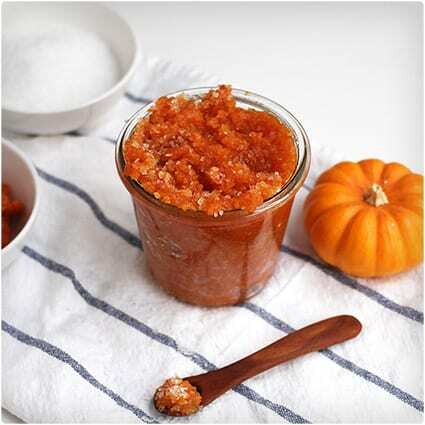 Pumpkin and sugar make a great way to get clean and feel refreshed, and this recipe uses organic pumpkin puree so you’re getting the real thing here, and not some artificial pumpkin scent. A bit of almond oil really helps round things out. When you want a spa treatment but just can’t float it this is one way to get the same sort of relaxation without the high cost. 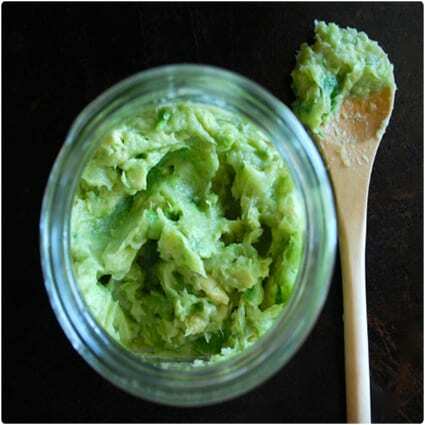 Avocados and bananas are the simple ingredients that make up the bulk of this mask, and are sure to work their magic on the stress we hold in the face. 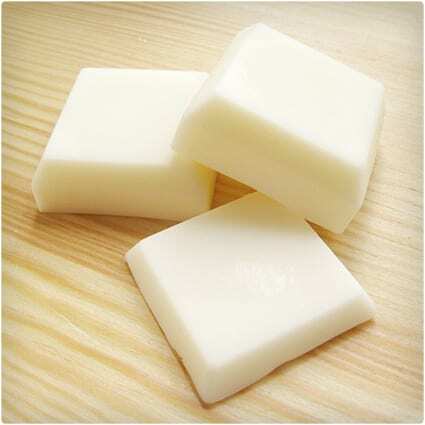 Make a block of this almond soap and you’ll have a good supply of great smelling soap that leaves your skin feeling clean and smooth at the same time. 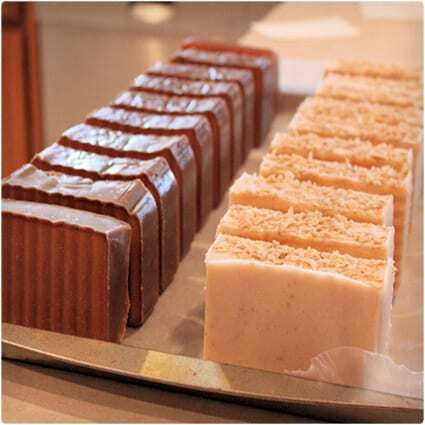 There are plenty of different oils used in this soap, but it’s worth the time to assemble them all. 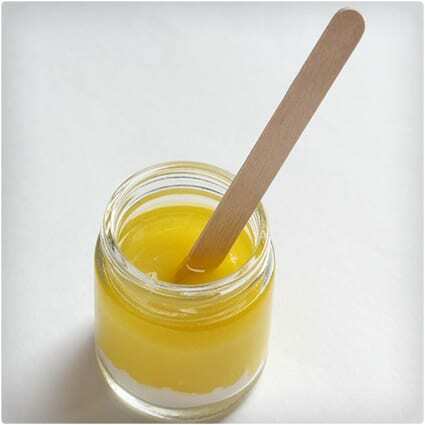 Here’s a way to have a lip balm that will not only leave a pleasant taste on your lips, but is made in a way that lets you have quality control over what you’re putting on your body. 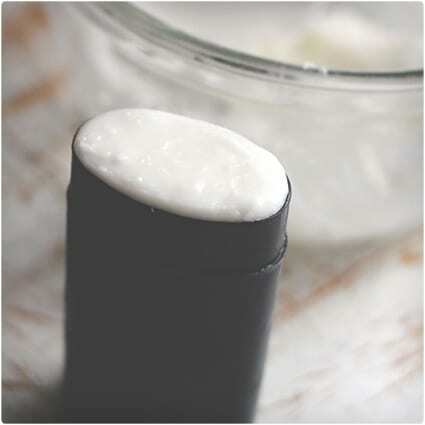 Your lips will love that this uses shea butter! 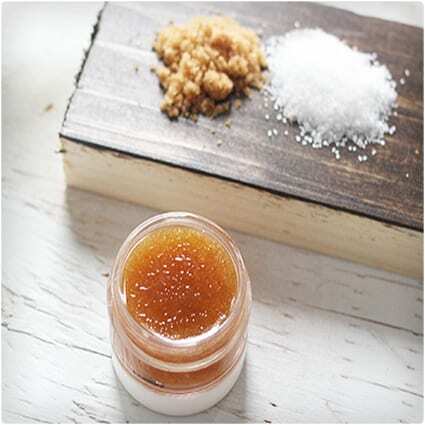 Scrub your lips before using the vanilla lip balm shown above and you’ll really be setting the foundation for the most luscious lips possible. If you do use them together, think about how great pumpkin and vanilla go together. This scalp treatment is the perfect remedy if you’ve gone a long time using store bought shampoos and conditioners. It will give your scalp a fresh start and removes some of the toxic build up of chemicals and additives found in these products. 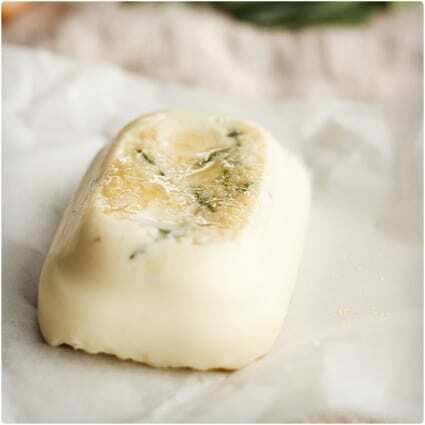 You’ll be glad you made these lotion bars when your skin is exceptionally dry. Perhaps the best time to make them is in the fall, before winter arrives so you’ll have a good supply of them and be able to combat the dryness that it brings. You’ll definitely recognize the gingerbread aroma if you’ve ever made gingerbread cookies, a gingerbread house, or a gingerbread man. It does a great job of getting the body clean with no residue left behind. 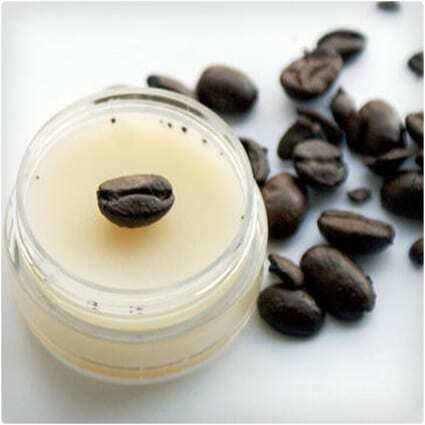 Leave your eyes feeling refreshed, and help fight the dark circles under your eye with this eye cream that uses coffee. When you’re putting a product under your eye do you really want to trust your safety with a big cosmetic company? 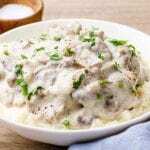 You’ll love that you just throw all of the ingredients in this recipe in a bowl and mix them up. Add it to your bath and now you have a milk bath. They show a clip of the witch from Snow White and the Huntsman when she submerges herself in a milk bath, and now you can do the same! Turn stinky feet around with this scrub that goes to work at combating foot odor and making your feet smell good again. A great way to take your feet from gross to fabulous, and made on the cheap. 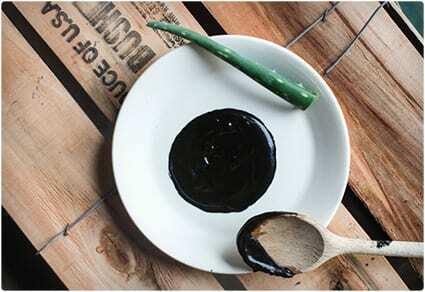 This is an amazing mask made with activated charcoal and rosewater. 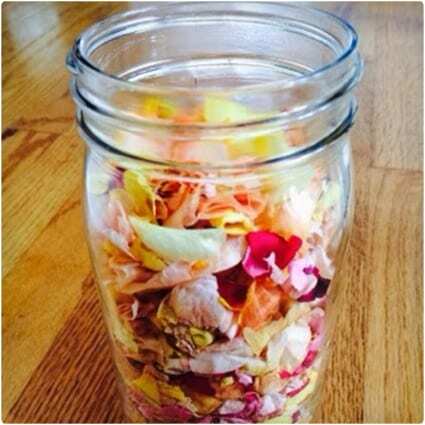 You don’t have to buy the rosewater for it, as you can find a rosewater recipe further up on this page. 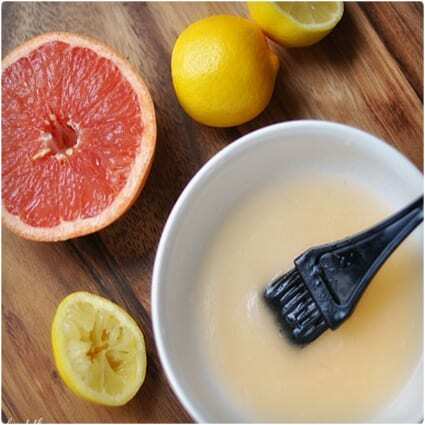 Use this mask to revitalize your skin without having to pay an arm and a leg for a pre-made kind. 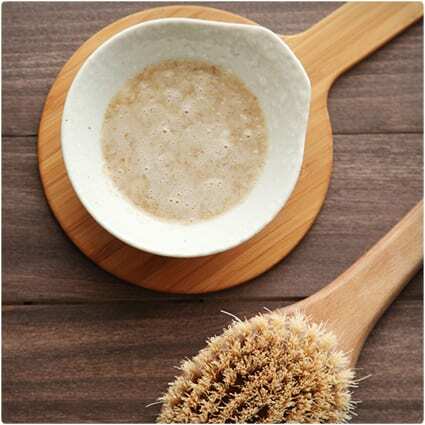 What we like most about these coconut coffee scrubbers is the little sizes them come in so you don’t have to use a big bar and can take them with you easily when you travel. 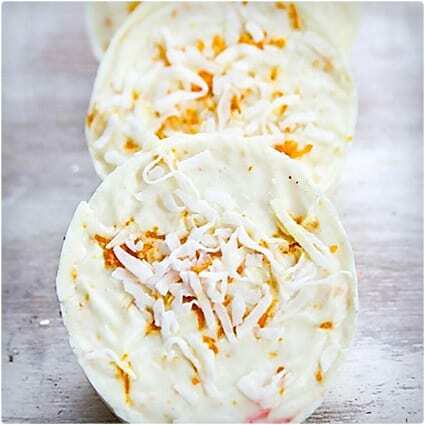 You just can’t beat the combination of coconut and coffee for feeling good in the shower or bath. this is great hope these recipes/potions keep coming there great. Awesome and very helpful tips, especially acne and hair tips, thank you for sharing these all. Self made items are better, but for those on the run store bought items have to suffice. These are great for stay at home moms. I’m going to share. So many awesome ideas! 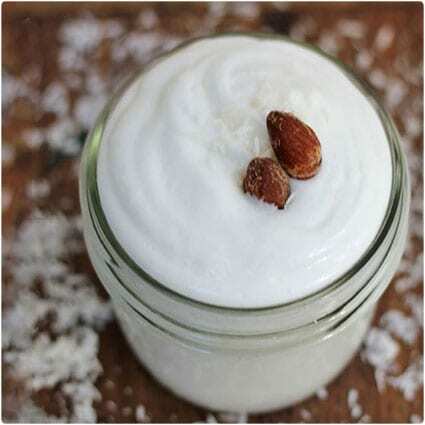 We just bought unrefined organic coconut oil and have been looking for different ways to put it to use! I definitely enjoyed reading this.. hmm looks like I’ll be doing a lot more diys now. Thanks for sharing. Thank you for featuring my DIY Dry Shampoo 😀 This is a fabulous list – I have so many products to look at now! Wow! All fabulous ideas. Now I need to go to the grocery store – and buy nothing to eat!!! Seriously, though, I really like knowing what’s in (and what’s not) in my skin care products. 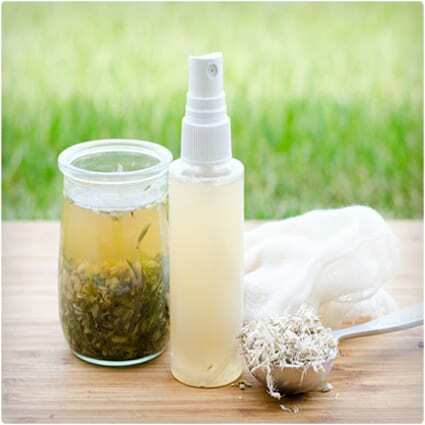 Love making my own beauty products to they don’t keep very long and you have to have so many ingredients available. Love this list and can’t wait to check out all the ideas! Great list, it can cut down on your spending. 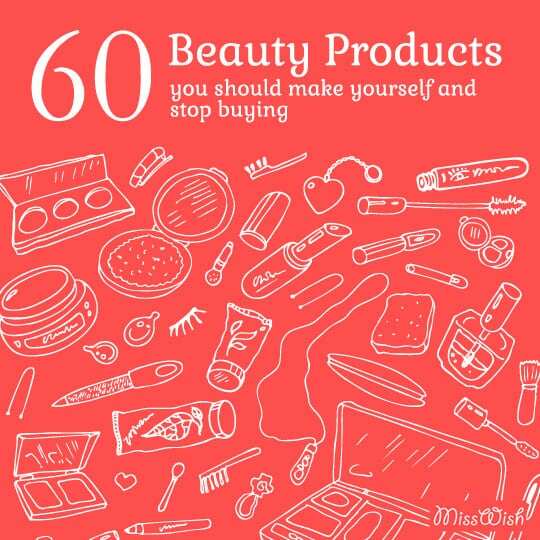 What a great list of DIY beauty ideas! Thanks for including my mango body butter! How did you get the coloring of the bars at the top of this page? Are they lotion bars? I make a lot of my own beauty products but have never even thought to make nail polish. I am so excited to try! wow! what a compilation. Got to know some new DIY’s. Will try it! !